This is a breadboard friendly USB to Serial board with a regular sized USB connector and male pins spaced at 0.1"
This adapter can be used with the Arduino Mini for both programming and host computer communications. It may also me used any time you would need to have an easy to use USB to serial adapter. 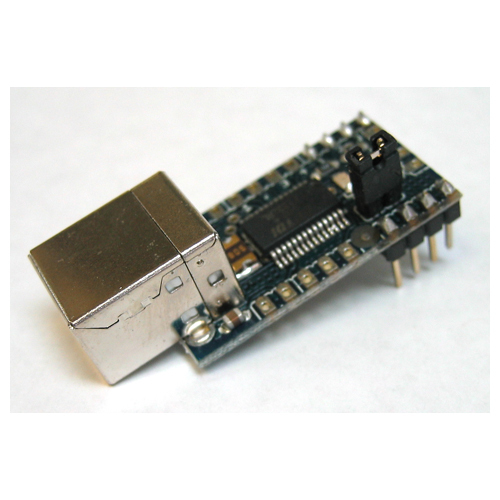 Uses the same USB to serial software driver that are included with the Arduino software since it is based on the same FTDI USB to Serial chip as the one built onto most Arduinos, the FT232.